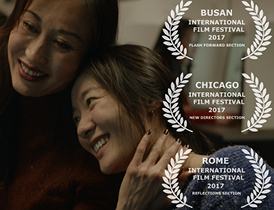 New prestigious selection for “Bitter Flowers” by Olivier Meys to be presented at the 2017 Rome International Film Festival in Reflections section. It will be screened on October 29th at MAXXI, Museo nazionale delle arti del XXI secolo. Once again, we congratulate the whole crew of the film and warmly thank everyone involved in this exciting adventure.